The most comprehensive case that has ever been made for why nearly everyone should become a polymath in a modern knowledge economy. Yet, many of the most impactful individuals , both contemporary and historical, have been generalists: Elon Musk, Steve Jobs, Richard Feynman, Ben Franklin, Thomas Edison, Leonardo Da Vinci, and Marie Curie to name just a few. If being a generalist was the path to mediocrity, why did the most comprehensive study of the most significant scientists in all of history uncover that 15 of the 20 were polymaths? Newton. Galileo. Aristotle. Kepler. Descartes. Huygens. Laplace. Faraday. Pasteur. Ptolemy. Hooke. Leibniz. Euler. Darwin. Maxwell — all polymaths. If being a generalist was so ineffective, why are the founders of the five largest companies in the world — Bill Gates, Steve Jobs, Warren Buffett, Larry Page, and Jeff Bezos — all polymaths (who also follow the 5-hour rule)? Are these legends just genius anomalies? Or are they people we could and should imitate in order to be successful in a modern knowledge economy? If being a generalist is an ineffective career path, why do 10+ academic studies find a correlation between the number of interests/competencies someone develops and their creative impact? I define a modern polymath as someone who becomes competent in at least three diverse domains and integrates them into a top 1-percent skill set. In another words, they bring the best of what humanity has discovered from across fields to help them be more effective in their core field. Hence the T-shape below. Specialists, on the other hand, just focus on knowledge from their own field. Since Malcolm Gladwell’s book, Outliers, popularized the concept, many now believe that to become world-class in a skill, they must complete 10,000 hours of deliberate practice in order to beat the competition, going as deep as possible into one field. Modern polymaths go against the grain of this popular advice, building atypical combinations of skills and knowledge across fields and then integrating them to create breakthrough ideas and even brand new fields and industries where there is little competition. For example, people have studied biology and sociology for hundreds of years. But no one had ever studied them together and synthesized them into a new discipline until researcher EO Wilson pioneered the field of sociobiology in the 1970s. We also have modern tech heroes like Steve Jobs (who I write about here) who famously combined design with hardware and software. 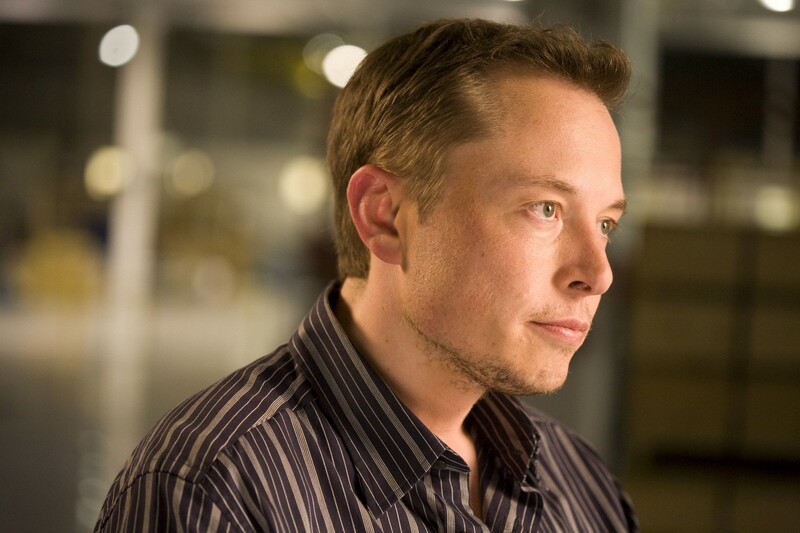 Elon Musk (who I write about here) has combined an understanding of physics, engineering, programming, design, manufacturing, and business to create several multibillion-dollar companies in completely different fields. He not only makes atypical combinations of skills, he also makes atypical combinations of personality traits. The idea itself drew on a coffeehouse of different disciplines: to solve the mystery, he had to think like a naturalist, a marine biologist, and a geologist all at once. He had to understand the life cycle of coral colonies, and observe the tiny evidence of organic sculpture on the rocks of the Keeling Islands; he had to think on the immense time scales of volcanic mountains rising and falling into the sea… To understand the idea in its full complexity required a kind of probing intelligence, willing to think across those different disciplines and scales. A more everyday example is my longtime friend Elizabeth Saunders. Elizabeth combined her passions for writing, Christianity, and time management into a thriving coaching business based on principles of Christianity that she promotes through books and articles. There is a whole cottage industry around time management, but there are almost no resources on divine time management. In order to become an effective online writer, I’ve deliberately combined academic research, digital journalism, and growth hacking into one skillset. I didn’t go to college for any of these skills, but practiced them over time and received coaching on them. My observation is that academics often look down on journalists; journalists look down on marketers; and marketers look down on journalists and academics. What many fail to see is that each brings something valuable to the table and that all of these skills combined lead to great ideas seen by large audiences. Polymaths have existed forever — indeed they are often the ones who’ve advanced Western civilization more than any others — but they’ve been called different things throughout history. This timeline shows the evolution over time. But is this a recipe that most people should follow? There are several significant changes trending in our knowledge economy right now, which are flipping the conventional wisdom on the value of specialization on its head. In today’s world, diverse interests are not a curse, they’re a blessing. Being a polymath instead of a specialist is an advantage, not a weakness. People who love learning across fields can use that tendency to be more financially successful and impactful in their career. What follows is the most comprehensive case for becoming a polymath that has ever been created to my knowledge. Then, at the end of the article, I share a resource with you that will help you become a successful polymath. Polymath Advantage 1: Creating an atypical combination of two or more skills that you’re merely competent can lead to a world-class skill set. 1. Become the best at one specific thing. 2. Become very good (top 25%) at two or more things. Polymath Advantage 2: Most creative breakthroughs come via making atypical combinations of skills. We can see the power of atypical combinations when we look back at the most influential papers throughout the history of science. Researcher Brian Uzzi, a professor at the Northwestern University Kellogg School of Management, analyzed more than 26 million scientific papers going back hundreds of years and found that the most impactful papers often have teams with atypical combinations of backgrounds. In another comprehensive study performed by Uzzi, he compared the results of academic papers by the number of citations they received and the other papers they cited. A fascinating pattern emerged. The top performing studies cited atypical combinations of other studies (90 percent conventional citations from their own field and 10 percent from other fields). Polymath Advantage 3: It’s easier and faster than ever to become competent in a new skill. The quality of knowledge in every domain is improving. Researchers and practitioners are systematically improving and testing every field of knowledge to make it more robust. Cumulatively, old fallacious ideas are being discredited and new ideas are being added. The technology field is smarter than it was 20 years ago, for example. So are the fields of physics and biology. Second, there is an abundance of free or affordable content from the world’s top experts in every medium you can think of. Need a community and expert coaching? There are now hundreds of thousands of online courses and billions of online videos. This is the golden era for people who value learning, are willing to invest in themselves, and who are disciplined enough to take action on their own. My favorite example of high-quality, easy-to-access knowledge is a 12-year-old girl named Adilyn Malcolm, who learned how to dubstep dance in a matter of months by constantly watching short clips of others online, practicing, and repeating until she mastered each segment and could perform an entire dance flawlessly. Imagine Adilyn trying to learn how dubstep before Youtube. There probably wouldn’t have been a local dance studio that specialized in dubstep. If one did, the teacher likely would not have been world-class. Next, Adilyn wouldn’t have been able to obsessively spend hours learning about it. If any dubstep videos did exist, she would’ve had to convince her parents to spend $20 a piece on them. YouTube, on the other hand, provided Adilyn with a chance to learn from many world-class teachers and performers at no cost and on her own schedule. Today, a search on Youtube for “learn dubstep” returns over 1 million results! And if that’s not impressive enough, consider 13-year-old Michael Sayman. He taught himself how to code via Google. One of his mobile games became one of the top 100 apps in the world, beating out Starbucks and Yelp. Or watch 11-year-old Amira Willighagen masterfully sing opera after teaching herself with YouTube videos for four years. Something big is happening here, and these young prodigies are the harbingers of it. As Isaac Newton famously proclaimed, “If I have seen further it is by standing on the shoulders of giants.” In today’s era, we have more shoulders to stand on than ever. Polymath Advantage 4: It’s easier than ever to pioneer a new field, industry, or skill set. While the explosion of knowledge is making it impossible or at least more difficult for anyone to know everything, it has also made it easier to find one big, atypical combination of fields or skills. It’s easier than ever to be a polymath. Second, the number of new academic fields and business industries is increasing exponentially. And finally, as the number of new skills increases, the number of possible combinations increases exponentially. Every new chunk of knowledge can theoretically be combined with every other knowledge chunk. Every new breakthrough creates the potential for exponentially more breakthroughs. If you have one building block (A), you can only make one combination (A). If you have two (A & B), then you can make three combinations (A, B, A+B). Once you get to four building blocks, you get to 15 possible combinations, and the numbers grow dramatically from there. Now consider that there are thousands and thousands of disciplines, industries, and skills. Each new one creates the potential for tens of thousands more. Bottom line: when I was in high school, I remember reading how a young Leonardo Da Vinci was frustrated that he was born in a period where everything worth being discovered had already been discovered. This quote stuck with me, because it was written by one of the greatest inventors in human history. It’s helpful for us to remember Da Vinci’s quote, because it’s just as true today. Almost ALL of the potential discovery that humanity will do is in the future. Polymath Advantage 5: It future-proofs Your career. What do the following six professions have in common? Answer: None of them existed 15 years ago. Imagine the power you’d have if you could go back in time, master these skills, and then be one of the best in the world at them when they hit big? We actually don’t have to guess. You’d stand a good chance of being a millionaire. The headline below shows just how valuable a driverless car engineer is. So what skills are going to be valuable in 20 years? Do you know? No? Neither do I. Neither does anybody. So the question arises, how do we make investments in knowledge now that will pay off far into the future? I’d make the case that a polymath is much better positioned than a specialist. A polymath can take the skills that she or he has learned and combine them in new ways quickly to master new fields. On the other hand, a specialist whose fields becomes obsolete would likely take much more time to adapt to the change and have to start back at the beginning. In an environment of accelerating change, we’re going to have to become polymaths to survive. We’re going to have a dozen careers. Each one is going to require new skills. Polymath Advantage 6: It sets you up to solve more complex problems. Many of the largest problems that face society and individuals benefit from solutions that integrate multiple disciplines. Let’s take obesity as an example. As the chart below shows, diet and obesity account for four out of the top fifteen causes of death in the United States. Millions of deaths that are completely preventable. From the outside, you could easily say that solving the obesity crisis is an easy problem. Just eat less and exercise more. Right? Not quite. The chart below from the Diversity Bonus book by researcher Scott Page shows a portion of just how complex the obesity epidemic is. As you can see, many different fields are needed to solve this problem: exercise physiology, genetics, behavioral psychology, sociology, economics, marketing, general psychology, education system, nutrition. Polymath Advantage 7: It helps you stand out and compete in the global economy. One of the most fundamental mental models from economics is supply and demand (see more valuable mental models). It’s relevant to the job market, to goods and services, to the world of ideas, and to many other places. Decrease the supply (move the blue curve to the left). Increase the demand (move the red curve to the right). You can have the most valuable skill set in the world, but if everyone also has that skill set, then you’re a commodity. By becoming a polymath and developing a unique skill set that few others have, then you’ll be able to differentiate yourself and charge more. Want a quick test to see if you have rare and valuable knowledge? Then ask yourself the same question that self-made billionaire Peter Thiel, one of the top investors in Silicon Valley, asks candidates he might hire and founders he might fund, “What’s the one thing you believe is true that no one else agrees with you on?” This simple question very quickly tells you whether or not you have rare and valuable ideas. If you can’t come up with anything, it tells you that you might not be as an original thinker as thought you were. Being a polymath will be the new normal, and polymaths who synthesize diverse skills to create breakthrough innovations and solve complex problems will have a huge impact. Generalists who fail to synthesize their knowledge into value for others stand to flounder in their career, perhaps having an impressive encyclopedic knowledge, but no real impact. Meanwhile, specialists risk getting trapped by their success. They build up a narrow skill set and reputation and become highly paid for it. But their careers are fragile. As their professions disappear or evolve, it becomes almost impossible to switch without having to start over. Polymaths, on the other hand, are what Nassim Taleb calls “anti-fragile.” Changes to the environment make them stronger. As new paradigms of business emerge or their passions grow, they can quickly combine their existing skill sets in a myriad of ways. Now that you see how important it is to become a modern polymath, the next logical question is: how? During the hundreds of hours I’ve spent researching how to be a polymath and interviewing polymaths, one key that I’ve discovered is mental models. For example, once you learn the “80/20 Rule,” which states that, in many domains, 20 percent of your efforts produce 80 percent of your results, you can use this mental model to improve efficiency and impact in every area of your life as well as every field you study forever. You can identify the 20% of relationships that cause 80% of your feeling of connection. You can identify the 20% of clients that create 80% of your business. You can identify the 20% of tasks that create 80% of your productivity. And so on! Furthermore, mental models help you learn multiple skills much more quickly, because they gave your a stable base of useful and universal knowledge that you can use for the rest of your life. Therefore, when you go into any new discipline, even though you may not have direct experience with that field, you’ll quickly notice mental models you can use. In short, mental models are key to becoming a better polymath. In our Mental Model Of The Month Club, we delve into a different mental model every month that will help you become a polymath. We also show you how to combine those models to make better decisions and have creative breakthroughs. By joining, you immediately receive a 20,000-word Polymath Mastery Manual where I teach you everything I know about becoming a better polymath. If you’re just learning about mental models for the first time, my free email course will help you get started. My team and I have spent dozens of hours creating it. Inside, you’ll learn the models that these billionaires use to make business and investing decisions — tools you can apply immediately to your life and business. You’ll also learn how to naturally use these models in your everyday life. Special thanks to my partner in the Mental Model Of The Month Club, Eben Pagan, for sharing dozens of conversations on this topic over the past two years. Many of the ideas in this article are a result of those conversations. Recognized as a leading entrepreneur (White House, Ernst & Young Entrepreneur Of The Year, Inc. 30 under 30, Businessweek 25 under 25, Bank Of America). Built a multi-million business from scratch. Creator of the largest online community in the world dedicating to learning how to learn. Have read thousands of books. Bestselling author and contributor to leading business publications.